I was looking forward to this. If there's one thing my team do well (apart from the day job of course!) is FEED. 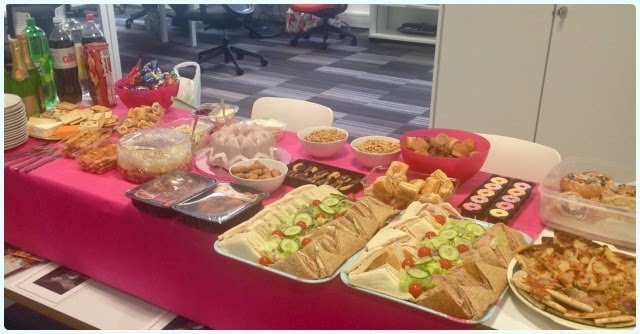 This week our Alison turned the ripe young age of 30, so we had a bit of a lunch-time knees up to mark the special occasion. 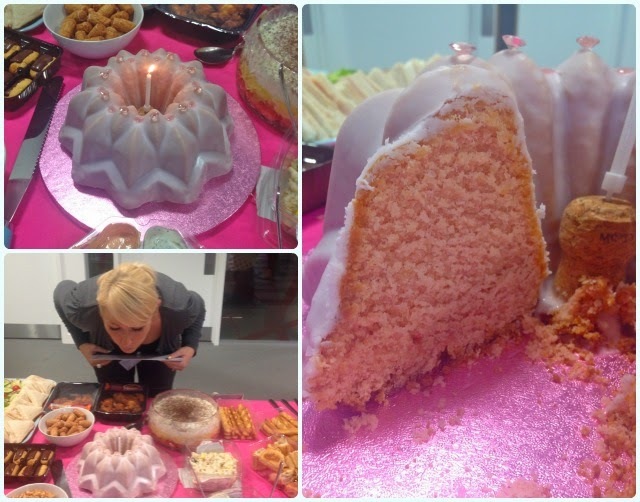 There was enough buffet food to feed the 5000, a bit of singing and a rather bling pink bundt cake. Alison is a girl with taste who enjoys her vino, so it seemed only right that it be made with pink champagne, with a hint of rose extract. 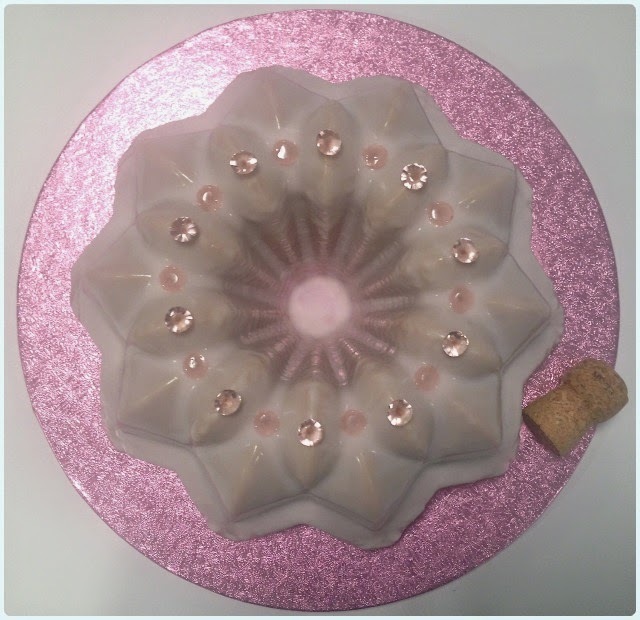 The little edible gems were just the icing on the cake - literally. I even dyed the cake itself a pretty shade of pastel pink. The added fizz makes a really moist cake with a light texture, but it still has that essential sugar crust on the base. Add the rose extract to the bubbles. Alternate with flour and bubbles until it is all incorporated. Add a little pink food gel. Pour your batter into the prepared tin. I decorated mine with edible pink gems. Bloggers/Writers: Please respect the fact I am sharing my own ideas and basic recipe. Blood, sweat and many tears have gone into getting this right, so you may enjoy a perfect bundt. If you wish to re-blog or write about a recipe from these variations, please credit my blog and link to this original post rather than pasting the recipe on your own page. What a stunning looking cake! I love the pastel colours and I bet the flavour was superb! Gorgeous!! This looks beautiful and delicious, I love how the glaze is so beautiful and it's something I really need to master!